Designed for a wide selection of applications, the Tornado Optic Viz 1 Industrial Safety Gloves OVZ1 are ideal for tactile work in low-risk handling applications. 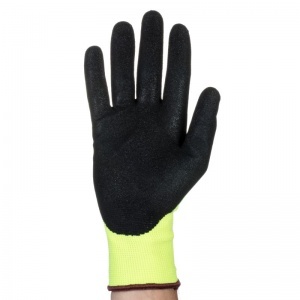 They are made from comfortable high-visibility yarn, and feature excellent dexterity and grip. 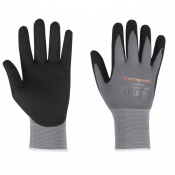 The code for these gloves is OVZ1. 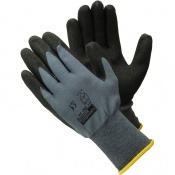 The Optic Viz 1 OVZ1 gloves have been designed to combine excellent levels of dexterity and grip. 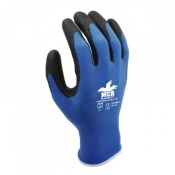 They provide the fingers with flexible motions to improve both comfort and performance. They also have excellent grip, making them ideal for light handling. 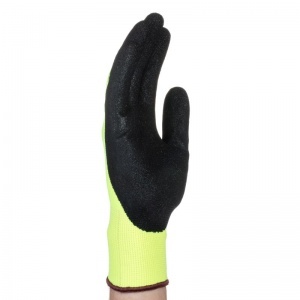 These seamless fluorescent yellow gloves are constructed from a 13 gauge high-visibility filament yarn, and include a black flexible bipolymer coating. Not only does this mean that they are both durable and comfortable, but they are also ideal for wearing in conditions with low lighting. 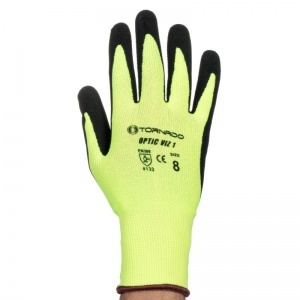 For improved safety, they are also highly abrasion resistant, helping to protect the hands without compromise to performance. 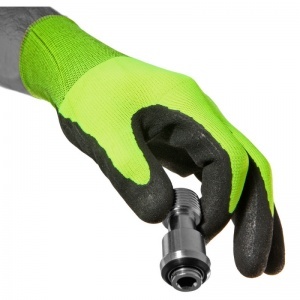 The Optic Viz 1 Industrial Safety Gloves are available in three sizes that should be suitable for most users. Please use the table below to find the size of gloves you need.